SmartLipo® and traditional liposuction are similar in that both procedures remove fat. 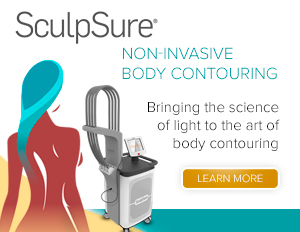 However, SmartLipo® is a laser-assisted lipolysis procedure combined with liposuction. The laser increases the tissue tightening and decreases bruising when compared to traditional liposuction. SmartLipo® targets trouble spots like the abdomen, arms, buttocks, thighs and neck, and permanently eliminates fat. So if your problem areas won’t respond to exercise and diet, SmartLipo® provides dramatic improvements. SmartLipo® is unique in that it can be used to give a more refined appearance to the chin, neck and lower face area. SmartLipo® is performed in our office’s procedure room rather than in the operating room of a Surgery Center or hospital. We offer a comfortable pre-procedure area, post-op recovery area, and private consultation area. SmartLipo® is a minimally invasive procedure that only requires the smallest of incisions and local anesthesia. The SmartLipo® laser fiber is inserted through a very small tube into your body, the laser ruptures the fat cell membranes and the fat cells are permanently destroyed. Since the laser actually tightens the skin through coagulation, collagen is stimulated, resulting in less sagging skin and a tightening effect. 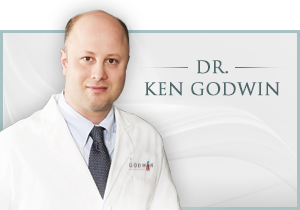 To learn more about SmartLipo® and to schedule a complimentary cosmetic consultation with Dr. Kenneth Godwin, a double board-certified plastic surgeon call us at 267-399-9930 today.